6 March 2015 | We have reported several times before how airlines target the rapidly growing middle classes in emerging markets in innovative ways. For example, in Brazil TAM sells tickets via kiosks located at low-end retail chains and at subway stations. The airline also allows customers to pay their ticket in multiple installments and provides ‘how to fly’ advice to first-time flyers. In East Africa, airlines such as Kenya Airways and Uganda Airlines have partnered with ‘mobile money’ providers like M-PESA and Airtel Money to allow people without a bank account to purchase air tickets via their mobile phone, while in the Philippines, Phillipine Airlines lets customers without a credit card book their ticket online and then pay at a nearby 7 Eleven store. Another airline that has come up with creative ideas to accommodate the large group of first-time flyers is Chinese low-cost carrier Spring Airlines. Spring Airlines has trialled a new boarding strategy by using fruit signs to guide passengers – especially those who travel by air for the first time – as seat numbers can be hard to find and can be confusing for those who have little experience in travelling by air. During the Chinese New Year travel season Spring Airlines was expecting a large number of novice passengers and the airline used a visual solution to help passengers find their seats more quickly and and ease congestion in the aisles. 19 March 2014 | Many of today’s airline product and service innovations contain a major digital component, as the rapid adoption of smartphones and tablets, the possibility to be connected anywhere and anytime, and the self-service mindset of connected travellers, have created a huge momentum. This year, wearable tech devices are joining the digital revolution, with Virgin Atlantic’s six-week trial – featuring Google Glass and Sony SmartWatch 2 devices – in its Heathrow lounge creating a huge wave of publicity for the airline. Commenting on the launch of the Virgin Atlantic trial, Jim Peters, chief technology officer of SITA stated that “2014 is shaping up to be the breakout year for wearable technology.” In fact, market forecaster Canalys estimates that worldwide shipments of smart watches will exceed 5 million unit shipments in 2014 – growing tenfold compared with the 500,000+ units shipped in 2013 – as a new generation of devices from Apple, Google, Microsoft, Samsung and others are launched this year. Spanish hybrid LCC has joined Virgin Atlantic as an early adapter of wearable technology and together with Sony has launched the world’s first application that allows passengers to “carry both their boarding pass and flight information on their wrist,” as both companies put it. 15 January 2014 | Over the next year or so, commercial travel will be revolutionised when Virgin Galactic launches the first ever space tourism flight, which has so far been nine years in the making. While it is initially only available to those rich enough to afford a USD 250,000 ticket, the company is keen to bring space travel to the masses and aims to offer a passenger experience far exceeding anything that has been offered before. 26 November 2012 | In the highly competitive aviation industry, airlines have to think differently to evolve and grow. The challenge has been especially strong for European carriers, whose base in the economically troubled Eurozone, coupled with strong competition from low-cost carriers and Gulf-based airlines, has required them to look to new markets for opportunities. As the global economic center of gravity is shifting from Europe and the USA towards Asia, with subsequent increases in income, many European carriers are looking East for growth. Along with megacarriers Air France-KLM and Lufthansa, Finnair is one of the most prominent players in the Europe to Asia market. The airline has built a niche strategy around “Asia’s growing market, the best flight connections and cost-competitiveness” and has invested significantly into expansion in the region and into developing its Helsinki base into a prime transit hub. According to the Center for Aviation (CAPA), Finnair has a near 7 percent capacity share of one-way seats between South Korea and Western Europe, a 10 percent share of Japan to Western Europe (ahead of British Airways), and an approximate 6 percent share of the China to Western Europe. By virtue of geography, Helsinki’s location makes it the closest European Union gateway for flights between Europe and Asia. Finnair has leveraged this fact by promoting its Helsinki hub as a transit hub for travellers between its 40 European and 11 Asian gateways. According to CAPA, Finnair in the second quarter of 2012 deployed about 51 percent of its capacity (in ASKs) on routes to Asia, and this segment represented 43 percent of passenger revenues. According to the airline, some 40 million passengers travel between Europe and Asia annually, and about half of these passengers fly non-stop from a major hub like London Heathrow, Frankfurt and Paris Charles de Gaulle with the other half connecting via an intermediate airport in Europe or the Middle East. Finnair strives to be among the three largest operators in traffic between Europe and Asia involving transfers during the trip. 12 July 2012 | Despite the fiscal woes in Europe and the recession that is taking place in a large part of the developed world, a new middle class is emerging in rapidly developing economies such as the so-called BRICs and The Next-11. These countries are enjoying significant economic growth, which is resulting in the creation of a middle class who are ‘trading up’ from long-distance buses to travelling by air, often flying for the first time in their life. We have reported before how an airline like TAM is targetting the rapidly growing middle class in Brazil in innovative ways, for example by selling tickets via kiosks at low-end retail chains and subway stations. The airline also allows customers to pay their ticket in multiple installments and provides ‘how to fly’ advice to first-time flyers. Meanwhile in East Africa, airlines such as Kenya Airways and Uganda Airlines have teamed up with mobile payment services like M-PESA and Airtel Money to allow people without a bank account to purchase air tickets via their mobile phone. To demonstrate that air travel is no longer out of reach for the masses, Mexican low-cost airline Volaris in 2011 joined efforts with EnElAire – a Mexican aviation website and radio program – to realize the dream of 15 people with a passion for flying but who had never taken a flight before. After asking the general public via radio and various social media, “Do you know anyone who dreams of flying on an airplane yet hasn’t been able to do so?,” Volaris and EnElAire received dozens of stories submitted by people nominating friends or family members to participate in the contest. 27 January 2012 | Rising disposable income in emerging economies such as the BRICs and the N-11s has allowed the rapidly growing middle classes in these countries to start travelling by air. According to IATA estimates, the number of air travellers worldwide will grow with 800 million to 3.3 billion in 2014 (up from 2.5 billion passengers in 2009), with China alone accounting for more than a quarter of this growth. Although air travel in China is still mainly on domestic and regional routes, an increasing number of leisure and business travellers are flying overseas. With Chinese outbound tourism recording more than 20 percent annual growth in recent years and overseas spending by Chinese tourists in 2011 expected to total around USD55 billion, airlines, airports and tourism destinations around the world are rolling out the red carpet to make Chinese travellers feel more at home. 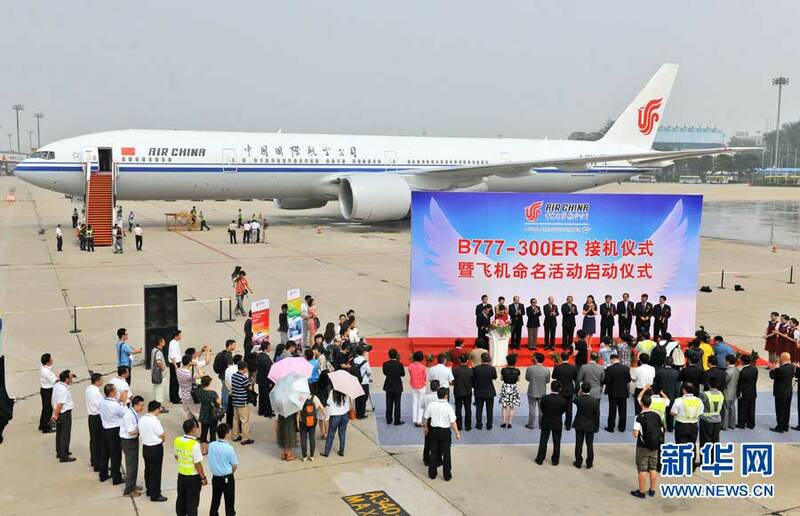 Since there are around 160 cities in China with populations of over 1 million people, airlines such as KLM (Chengdu, Xiamen, Hangzhou), Lufthansa (Shenyang, Qingdao), Air France (Wuhan), Finnair (Chongqing), Qatar Airways (Chongqing) and Etihad (Chengdu) have opened routes to second-tier cities in the country. These airlines also employ Asian cabin crew on board and offer localized amenities such as Chinese food and beverages, movies, music, newspapers and magazines. 15 December 2011 | GDP growth, increased trade flows, the rise of a new middle class, and market liberalization are the main drivers behind the rapidly growing demand for air travel in Asia Pacific over the coming decade. Airbus, for example, projects that by 2030 the region will account for 33 percent of worldwide revenue passenger kilometres, up from 28 percent today. The growth in the region’s aviation market is resulting in a large number of new airline launches. In the past year, full-service airlines such as ANA (Peach, AirAsia Japan) and JAL (Jetstar Japan) have announced their own low-cost initiatives in order to take advantage of market deregulation in Japan, while the region’s largest LCC’s – AirAsia, Jetstar and Lion Air – continued their expansion. Singapore Airlines, meanwhile, has launched a low-cost long-haul subsidiary, called Scoot. At the other end of the spectrum, the region’s booming economies and the resulting growth in business travel have led ‘challenger airlines’ such as Skymark from Japan (low-density A380) and Hong Kong Airlines (Hong Kong – London ‘Club’ service) to announce all-premium long-haul flights, while in Southeast Asia, Qantas, Malaysia Airlines and AirAsia founder Tony Fernandes have all revealed plans to set up their own regional premium carrier. Because of intense competition from Gulf-based and Asian carriers, Qantas’ international market share in Australia has fallen from 39 to 14 per cent over the past decade. The airline’s cost base for its international operations is said to be 20 per cent higher than that of its competitors. With its dominance at home eroded, Qantas in August 2011 announced a plan to establish an Asian hub, which is is expected to reduce its operating costs with tens of millions of dollars. 13 October 2011 | As the global economy dynamically changes, all major airlines are focusing on the rapidly growing middle class and business markets of the BRICs and the ‘Next 11’ as a new source of growth. According to Boeing’s latest outlook, these emerging economies will collectively occupy over 60 percent of passenger flows by the year 2030. Last month we discussed how Emirates is capitalizing on new passenger flows, for example connecting Asia with Africa and with Latin America via its Dubai hub. A good showcase of the challenge that the rise of Emirates is posing to European legacy carriers is India, since the subcontinent is the second largest market for both British Airways (50 weekly flights to 5 destinations in India) and Lufthansa (52 weekly flights to 7 destinations), after the United States. India is also Emirates’ largest operational market with 185 flights a week to 10 destinations. Says Orhan Abbas, vice president India and Nepal at Emirates, “The Indian market is a very important one for us as Indians have overtaken the British as the single largest tourist group on Emirates.” In the 2010-2011 fiscal year, Emirates’ revenues from India grew 24 per cent to USD1.7 billion, while traffic grew with 10 per cent. Emirates’ aggressive approach has resulted in significant market shares on international flight routes from India; the airline currently holds 35 per cent on routes from India to Britain, 40 per cent to France, 20 per cent to Germany, and 31 per cent to New York. The airline’s low prices and large network in India make it an attractive option, and on the popular route between India and North America, Gulf airlines such as Emirates are virtually the only practical option for travellers from second-tier Indian cities. A passenger from New York on the way to, for example, Thiruvananthapuram, has to connect twice when flying via Europe (e.g, at Frankfurt and at Delhi), compared to a single connection at Dubai. Besides the large number of Indians working in the Gulf states, “one of the reasons for Emirates’ success is that so many Indians love transiting via Dubai,’’ says Madhav Oza of Blue Star Travels, one of the biggest travel consolidators in Mumbai. “The shopping, easy visas and simply the familiarity with the city often makes them choose it over colder and more congested European hubs like Frankfurt, Paris or Brussels,” he says. 5 August 2011 | The prospect of an airline from Mainland China joining the top 10 ranks of the Skytrax world’s best airlines list may not sound that far off, if one takes into account that the ranking is dominated by Asian carriers, including ‘Chinese’ carriers such as Cathay Pacific and Singapore Airlines. Airlines from China still have some way to go to improve their international competitiveness, but two of China’s largest airlines, China Southern and Air China, have recently embarked on major upgrade programs. Meanwhile, Hainan Airlines, China’s fourth largest airline group, recently has been awarded a 5-star status by Skytrax (although this status can be debated). Air China is China’s flag carrier and third largest airline, as well as the world’s most profitable and largest carrier by market value. The airline’s major hubs are Beijing, Shanghai, Shenzhen and Chengdu and as of December 2010 the Star Alliance-member operated flights to 47 international and 91 domestic cities with a fleet of 393 aircraft. Compared with China’s other major carriers, China Southern and China Eastern, Air China leads in terms of international destinations, which make up 50 percent of its routes, followed by China Eastern (30%) and China Southern Airlines (25%). Air China holds interests in Cathay Pacific (29.99%), Air Macau (80.9%), Shenzhen Airlines (51%) and Shandong Airlines. 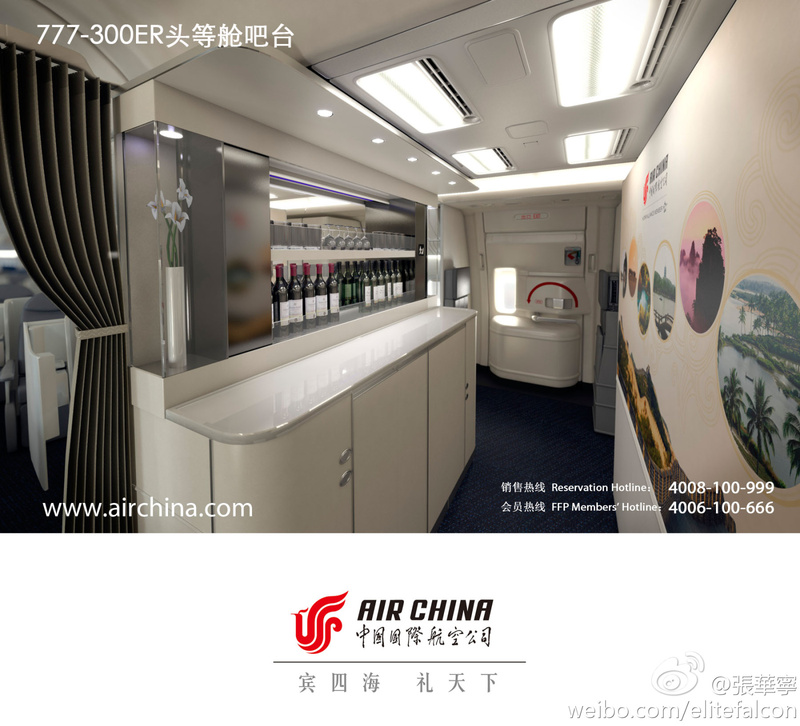 In mid-July, Air China took delivery of its first Boeing 777-300ER, which features the carrier’s new premium products, including 180-degree flat bed seats in business (2:2:2 configuration) and first class (1:2:1 configuration) and a self-service bar, located between First and Business. The seats in Air China’s ‘Forbidden Pavilion’ First Class are Contour’s ‘Venus’ seating product with sliding privacy screens for centre seats and an adjustable ottoman that provides a seat for a guest as well as extra stowage. More images of the cabin can be found here). 14 March 2011 | When Lufthansa introduced its first A380 to its fleet in May 2010, the airline’s new superjumbo also featured a new First Class cabin (as well as new seats in Economy). At the same time, Lufthansa also started an EUR400 million revamp of all classes across its entire fleet. For example, in December 2010, Lufthansa unveiled a ‘new European cabin’, adding slimmer, lighter seats on its short-haul aircraft. Lufthansa has just announced it will also upgrade its First Class on its B747-400 aircraft. However, instead of installing the new First Class cabin introduced on its A380 last year, Lufthansa has opted for a radically different design for the new First Class on its B747-400s. The airline is converting every window seat in its existing First Class cabin – which currently fits 16 passengers – into a permanently flat bed, reducing the total number of seats to just eight. The full-flat beds have a sleeping surface measuring over two metres in length and a top-quality mattress. Essentially the new First Class seat on Lufthansa’s B747-400 now will consist of two seats, with the upright seat appearing similar to an older version of Lufthansa’s First Class seat on the pictures. Cabin seating is configured just 1-1 with the upright seat adjoining the aisle to allow for easier meal service and socializing, while the bed is positioned alongside the window for more privacy. 21 September 2010 | Last week, the Aircraft Interior Expo took place in Long Beach, California. As airlines stress weight savings to burn less fuel with higher oil prices and stricter environmental regulations ahead, the main innovations the drew attention at the show were smarter and lighter solutions in seating, inflight entertainment and onboard catering. At the European edition of the event, earlier this year in Hamburg, MmilleniumM Group’s ‘Air Sleeper’ seat concept made headlines, and this time Italian aircraft interiors specialist Aviointeriors unveiled its ‘SkyRider’ saddle-style seat. The ultra-high density configuration lets passengers sit at an angle with just 23 inches of legroom (versus the standard 30 inches) and would allow airlines to increase passenger capacity by up to 40 percent. The seats also have a foldable shelf for carry-on bags and hooks to hang a jacket or purse. Aviointeriors is positioning the SkyRider as a seat for a new ‘basic class’ on three to four hour flights. The novel design may draw interest from ultra low-cost carriers such as Ryanair, Spring Airlines (China) and Tiger Airways (Singapore, Australia). Ryanair recently unveiled a concept that would let passengers stand during flights, leaning against a flat padded backboard and restrained with a strap stretching over their shoulder. European regulators said Ryanair’s design would not meet safety rules as current rules determine that each passenger has to be provided with a seat or berth. 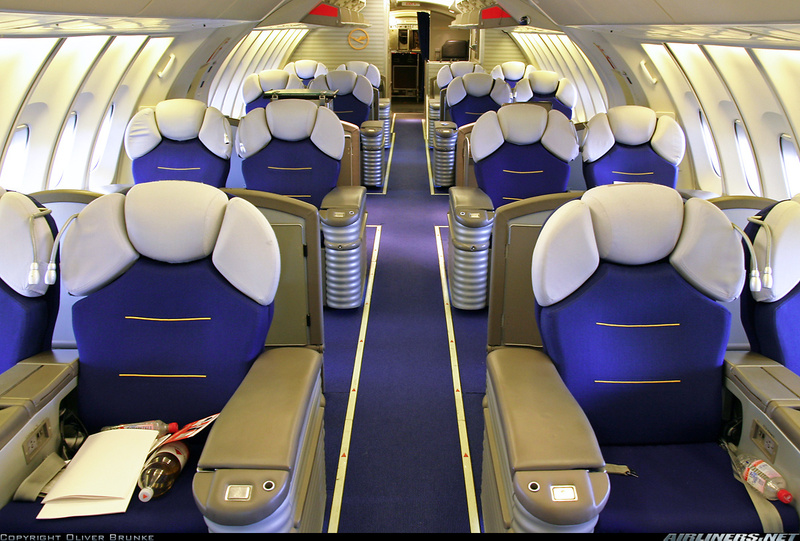 Aviointeriors, meanwhile, claims the Skyrider is effectively a seat, and says that if a carrier commits to installing the new seats it will apply for proper certification. 24 June 2010 | Asia’s fragmented geography makes air travel an attractive option. Especially low-cost airlines have allowed many Asians to travel by plane for the first time, and there is major scope for LCC growth on medium and long-haul routes as the rapidly growing middle classes of Asia are increasingly traveling longer distances. Market liberalisation is the other growth engine, with the opening of new routes between secondary destinations, especially in China, India and Southeast Asia. 20 May 2010 | Lufthansa has just taken delivery of its first A380 aircraft, which also features the carrier’s new First Class cabin. Lufthansa’s A380 has 526 seats, configured in three classes: eight seats in first class (the same number as on the airline’s smaller B747’s), 98 seats in business class, and 420 seats in economy class. 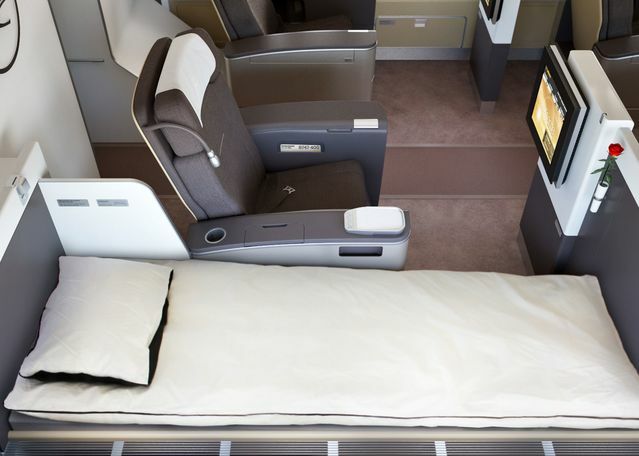 The airline’s new First Class offers flat-bed seats, designed with wood veneers and brown and beige leather. The flat bed measures 2.07 metres in length and 80 centimetres in width, and each passenger has an individual wardrobe. Amenity kits are designed by Porsche Design. First Class passengers will have two large bathrooms at their disposal with wash and changing areas separated from the lavatory area. 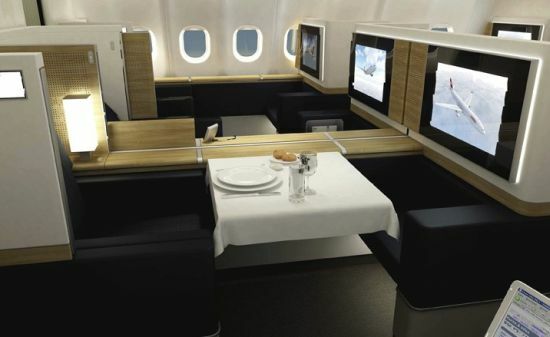 The Lufthansa First cabin looks like a slimmed down version of SWISS’ First Class, which was also designed by Priestmangoode. The colors, materials and shapes used are also intended to create a smooth transition from Lufthansa’s first-class lounges to the aircraft. 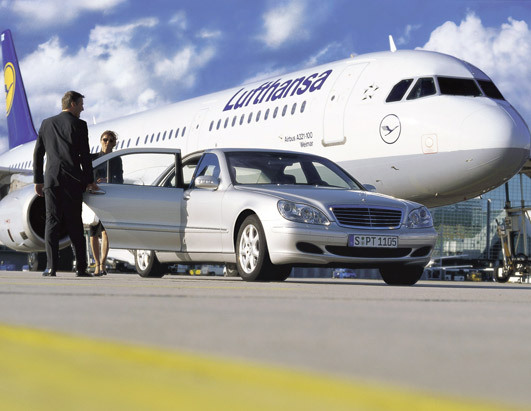 When departing or arriving in Frankfurt, First Class passengers are chauffeured in a Porsche Cayenne or Mercedes between the terminal and the aircraft. 24 March 2010 | Fierce competition on the Tasman and South Pacific routes has led Air New Zealand (ANZ) to radically overhaul its short-haul fares and service offerings. The airline has decided to remove business-class seats from its A320 aircraft that fly from New Zealand to Australia and the Pacific islands, increasing capacity by an extra 19 seats to 171 seats. Instead, the single-class A320s will have four options of service, priced accordingly. A ‘Seat’ option allows one carry-on bag of 7kg, tea, coffee and water and access to some entertainment options but no new release entertainment. ‘Seat + Bag’ allows one carry-on bag and one checked bag, tea, coffee and water and some entertainment. ‘The Works’ offers carry-on and checked bag, meal and drinks and a seat request, and ‘Works Deluxe’ allows two priority bags, a carry-on bag, meal and drinks, a seat request, a guaranteed empty seat next to the passenger, premium check in, lounge access and better entertainment options. ANZ said a Works Deluxe airfare would be around NZD500 (EUR270, USD360) cheaper than a current business class fare and the seat-only option would be “in exactly the same place” as budget airlines. The airline is also introducing automated check-in procedures similar to those currently used on domestic flights, in which a RFID chip can be used to check in.